Does Anybody Understand the Growing Obsession With Smart Rings? As soon as powerful processors were tiny enough to pack into your pocket, companies big and small have been hunting for other ways they can strap tech onto our bodies. Fitness trackers and smartwatches were only the beginning, and if the last few months worth of patents divine wearables’ near future, smart rings are next. The idea of a “smart ring” isn’t incredibly new. It’s been fodder for overly ambitious Kickstarters for years and only recently became an idea that wasn’t hilariously terrible. But where many smart rings are often fever dreams by small companies with little capital and no manufacturing experience, this new crop of patents comes from the big wigs: Apple, Microsoft, and most recently, Samsung. We’ve written before how a smart ring is not the future you’re looking for, but Apple and friends seem to be taking the idea and simply managing expectations. Apple, for instance, thinks smart rings are a smartphone-tethered wearable, with a small screen or touchpad, that gives haptic feedback for notifications, comes with a small microphone for giving commands, and may even determine what you’re writing by analyzing hand gestures. Basically, an incredibly barebones version of the Apple Watch. Illustration of Apple’s smart ring. Microsoft wants its depth-sensing rings to be the one and only wearable controller for your life, whether for your smartphone or (eventually) your HoloLens AR headset. And today, Samsung became the latest company to dream up a smart ring, winning a patent that promises specific functions for certain apps like Facebook, controls for your television, and even a wearable hub for your future IoT smart home. Illustration of Microsoft’s smart ring. These devices are still only hypothetical at best, but the last three months has seen a noticeable uptick in smart ring chatter. Or at least, smart ring patent chatter. Smart rings are a step beyond anything Apple, Microsoft, or Samsung has ever tried to build in one big way, however. Unlike smartphones and even smartwatches, their primary function is as a fashion accessory. Smartphones, meanwhile, offer obvious utility and expand well beyond being just a basic texting and calling machine. Old fashioned watches are more rudimentary, yet smartwatches have evolved beyond the wrist-borne gadget’s simple time-telling function. But rings are purely aesthetic, so in many ways, they’re a blank canvas, technologically speaking. Illustration of Samsung’s smart ring. Collectively, the new smart ring patents show that even Apple, Microsoft, and Samsung don’t really know what they’re doing yet or what a finger-sized wearable would even look like. They’re throwing out ideas just to see if anything works, much like the many failed (and the few somewhat interesting) Kickstarters before them. In a world where smartwatches still feel superfluous at times, however, smart rings seem even more so. 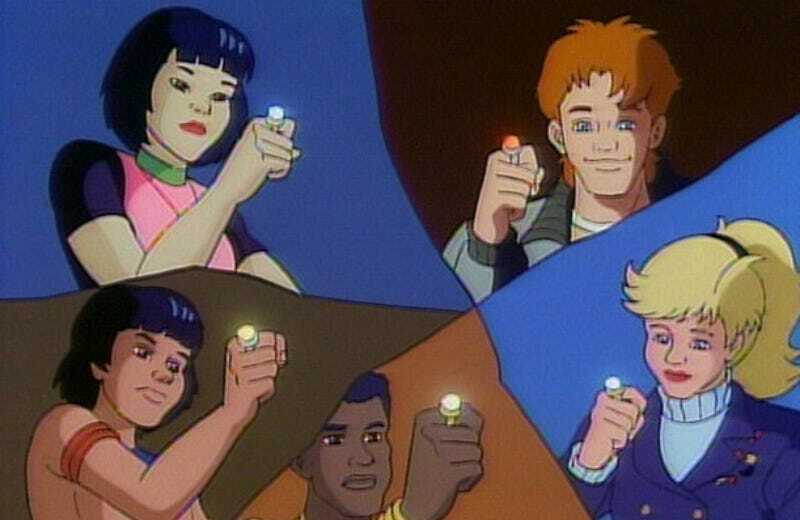 Regardless, tech companies believe that smart rings could be a new wearable frontier. As to whether or not any of the heavy hitting hardware manufacturers will actually explore the technology remains to be seen.